India’s Energy Minister has announced a paradigm shift needs to take place in India’s energy sector. Protecting the environment, supplying off- grid residents and promoting energy security have been the motivations behind the move. The article was originally published in Reneweconomy. The article can be found here. In the same week that China and the US launch a historic agreement to address climate change and work towards a faster transition of their economies towards a low carbon future, Indian Prime Minister Narendra Modi’s new government has also upped the ante considerably. In a landmark announcement that has caught the global coal industry totally by surprise, India’s Energy Minister, Piyush Goyal has announced an ambitious target that could see India cease thermal coal imports within two to three years. Far from being the saviour of the world’s billion tonnes per annum (tpa) seaborne thermal coal industry, India could follow China, America, Japan and the EU by putting in place a series of strategies that limit the Sub-Continent’s reliance on imported fossil fuels. The three nations of China, the US and India collectively accounted for 4,250Mt or 76 per cent of the world’s consumption of thermal coal in 2013. The US saw peak domestic thermal coal consumption in 2007, with a decline of 20 per cent since then. China has been growing coal consumption at 10 per cent annually over the decade to 2011, but the last three years have seen a rapid deceleration in demand growth, culminating in coal consumption demand down 1 per cent year to date in 2014, with imports taking the brunt of the decline. However, with electricity demand growing at 6 per cent annually over the last decade, India has been one of the last bastions of strong global growth for thermal coal, with demand doubling in the last decade. With all the issues of accommodating 1.3 billion people, protecting the environment and trying to modernise the Indian economy, domestic Indian coal production has been growing well below target at only 2 per cent annually for the last five years. This has seen a marked increase in reliance on imported coal, which has grown from 10 per cent market share five years ago to well over 20 per cent in 2013/14. As an aside, almost all of these coal imports have been sourced from Indonesia and South Africa, the two closest coal exporting nations to India. This makes the announcement to target a cessation of thermal coal imports into India within two to three years surprising. This will be a huge challenge for the Modi government and the electricity industry, but the logic is compelling and motivation is clear. A panel discussion with Minister Goyal at the World Economic Forum (WEF) earlier this week set out the motivations behind this historic move and can be viewed online. Minister Goyal outlined the need for an “paradigm shift” of the Indian electricity system, putting a time frame for urgent actions of four to five years, with the target for results to be well entrenched by the time of the next national election in 2019. While Minister Goyal acknowledged the pressing challenge of climate change, his motivations also reflect addressing air pollution, energy security risks from an electricity system lacking diversity of supply due to its reliant on coal, and solving the critical need to address energy poverty and deliver electricity to the more than 300 million people living beyond the reach of the Indian electricity grid. He also stressed the added economic pressures of double digit interest rates due excessive inflation, plus the associated need to address India’s massive fossil fuel-based trade deficit in order to stabilise the currency. Minister Goyal expressed confidence in the government’s ability to reinvigorate the India’s economic growth, with the aim to lift real gross domestic product (GDP) growth from the current 5 per cent annually back towards the target of 8 per cent annually. Ambitious for sure, but consistent with the rate of GDP growth delivered for five years prior to 2012. Central to this ambition is the need to facilitate the delivery of a significant uplift in the amount of electricity delivered to consumers in India. Minister Goyal outlined a plan to attract $US250 billion of new capital investment to the Indian electricity sector over the next four to five years. For this to occur, foreign investors need confidence in the economic and regulatory system in India. This also requires a stabilisation of the currency, so foreign investors can invest without a massive erosion of their capital value through an ongoing devaluation of the Rupee. Minister Goyal recognises that increasing India’s electricity supply through expensive imported coal will undermine this goal through the combined impact of raising the current account deficit and building domestic inflation. 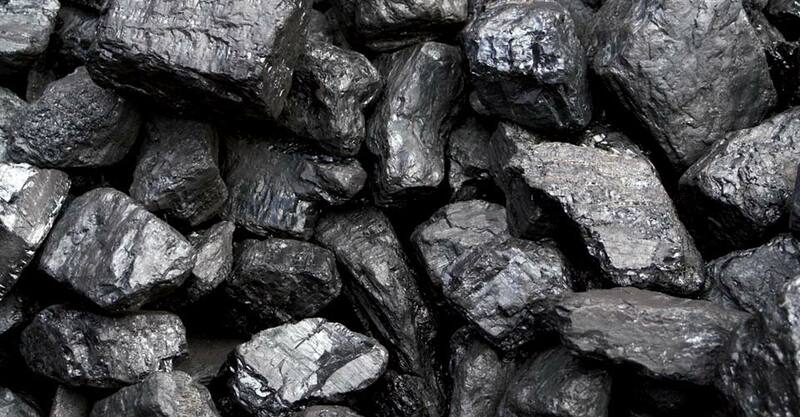 The cost of landed coal imports is 2-3 times as expensive as domestic coal – Coal India Limited’s results this week reflect an average sale price for Indian domestic coal of US$24/t. Even after the collapse of seaborne coal markets, Newcastle benchmark thermal coal is US$62/t. Minister Goyal’s electricity system’s paradigm shift is aggressive and ambitious. But it is also well thought through, economically and socially necessary. Addressing the massive 25-30 per cent grid transmission and distribution losses is a key government priority. Rather than continuing to produce ever more coal-fired power only to lose a quarter of it before it reaches the customer base, Minister Goyal stressed the combined need to boost transmission efficiency and resolve the financially distressed state of many State electricity distribution companies so they can actually afford to pay for electricity deliveries received. Only through a dramatic improvement in this payments process can electricity generators then gain the confidence of financial institutions in the bankability of their power purchase agreements. Another key priority is to attract $US100 billion of new investment over the next four to five years into solar and wind power generation. Minister Goyal has articulated a target to drive a five-fold increase in installations of renewable energy to 16-18 gigawatts (GW) annually, relative to the 3-4 GW installed in 2013/14. Minister Goyal also detailed the intention to dramatically leverage the financial power of a new initiative that was reinstated in the 2014/15 budget in May 2014. This is the immediate 80 per cent accelerated depreciation allowance for renewable energy investments. The government is actively lobbying the top 250 tax paying entities across India to lower their immediate tax bill by investing in renewable energy projects. This also brings an entirely new capital base to bear on the renewable energy sector, somewhat similar to the tax equity system that has transformed the US renewable energy markets in the last five years. Minister Goyal cited the National Thermal Power Corporation and Coal India Limited as examples of companies that fit this strategy. Coal India has subsequently announced it will invest $US1.2 billion in solar projects across India – bringing to bear its $US10 billion of net cash sitting idle on its balance sheet. Minister Goyal also pointed out that the 250 top tax paying entities also generally have very strong credit ratings, such that they can best leverage the financial markets at significantly lower rates than many of the incumbent electricity generators. Minister Goyal has also set a very ambitious target for Coal India to double its domestic coal output over the next five years to 1,000Mtpa, a 15 per cent annual growth rate. A significant uplift in domestic coal production, particularly associated with an increased emphasis on mine mouth coal-fired power plants and improved railway efficiencies would cost-effectively facilitate increased electricity supply without the rampant electricity price inflation that would result from an increased reliance on imported coal. Overall this represents a very ambitious plan for India’s electricity system to undergo a paradigm shift. 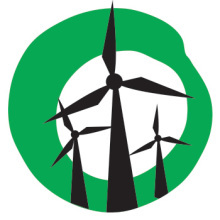 A huge step-up in renewable energy would provide energy system diversity, improved energy transmission and distribution efficiency would lower electricity losses and hence help restrain domestic power system inflation. The associated US$250 billion capital investment program would help sustainably lift economic growth and domestic employment opportunities. An ambitious plan, but one that is well thought out and which has a clear focus on concurrently resolving India’s energy poverty and building air and water pollution crisis. A clear change from India’s previous plan which involved ever more reliance on expensive, imported coal-fired power.